The most important question to ask yourself when it comes to customer service is surprisingly simple: How would you feel if you were in your customer’s shoes? 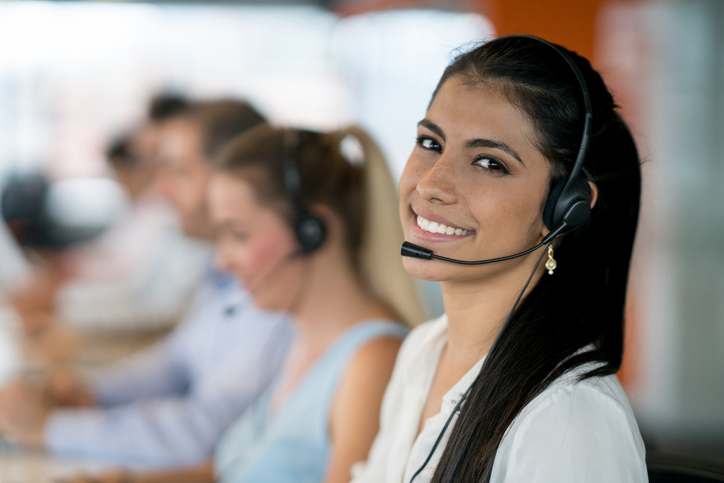 Providing top-notch customer service is a distinct and essential competitive advantage in today’s market that too few businesses are able to master decisively. If you’ve ever called a business looking for assistance, you know how often proper phone call etiquette has gone by the wayside. From long wait times and unhelpful associates to the infamous “runaround,” many things can make calling a company an unpleasant experience, even if they have the best of intentions. It can be relatively easy to stand out from the crowd and differentiate your business from your competitors just by paying attention to a few little things that make a big difference in the eyes of consumers. Improving your company’s phone call etiquette is one such thing, and it can make a lasting impression on those who receive assistance over the telephone. There’s nothing worse than calling to get a problem resolved and encountering hold music, especially when you have no idea how long you’re going to be waiting. Perceived wait times are always longer than actual wait times. Even if call volume is high and wait times are looking bad, it’s more professional to provide that information to customers upfront and allow them to decide whether it’s worth the wait. It’s also helpful to inform your customers how much time they have remaining. If you’ve ever waited at the end of a long line, you understand the temptation to give up and leave. These feelings are especially acute when there’s nobody else waiting behind you, which is exactly what it can feel like on the phone. Because of this, Harvard Business School’s Working Knowledge blog suggests shifting the language you use: Instead of, “You are the fifth person in line,” it’s much more persuasive to say, “You are the fifth caller out of seven.” Then, you know there are others after you who are also invested. Finally, if you have the infrastructure to pull it off, you can avoid wait times altogether by making it easy for customers to schedule a callback. This helps your employees use their time more efficiently, and it’s also more convenient for customers, even if they would have spent the same amount of time on hold. With phone call etiquette, it’s important to remember that a little truly does go a long way, and the basics are the same no matter what business you’re in. First, think about the tone you’re setting for the conversation. Cheerfulness or enthusiasm can bring a lightness to the customer experience that makes a difference. Using a customer’s name makes the conversation feel more personal and empathetic. Being respectful and prioritizing listening above all else will help you address issues quickly and efficiently. The old radio trick of smiling while you talk on the phone can make a big difference in how you sound. At the same time, it can be difficult to put on a show of cheeriness 40 hours a week. Remember, the important thing is to engage the customer and reassure them the human on the other end of the line is listening. Anticipate their needs, and offer to take additional steps before they bring them up. It’s easy to jump right to a solution, but that skips a crucial step—you need to start by listening. If an incident has occurred, they probably have some feelings about it. Before you do anything else, make sure your customer feels heard. Diffusing a situation means acknowledging their perspective and the reality of their feelings. “I understand how you feel, and if it happened to me, I’d be upset too.” It’s important to recognize that the reality of their emotions are ultimately separate from whether or not they’re in the right. Again, it’s not about right or wrong—apologizing is free, and it buys you a lot of credibility. Even if the customer may not be justified in being mad at you, you can still be sorry that they feel the way that they do. Apologizing allows you to tell the customer that their feelings are real and you don’t want them to feel that way, and it primes them for the final step. Now that emotions are out of the way, you can show the customer just how much you care by doing something for them. That could mean fixing a real problem or offering a simple reassurance like, “We’ll have a conversation about what happened here and try to prevent it in the future.” Help them feel they’ve accomplished something, whether or not the outcome is what they originally envisioned. Getting customer service over the phone right is tricky, but it’s also an easy win that can differentiate your business in a sea of competitors. By taking steps to understand how your interactions feel from the customer’s perspective, you are well on your way to providing a great customer experience. ● Be transparent about wait times so you manage expectations. ● Practice good phone etiquette, with a focus on customer experience. ● Focus on anticipating their needs and going the extra mile. ● Take the HEAT: hear them out, empathize, apologize, and then take action.